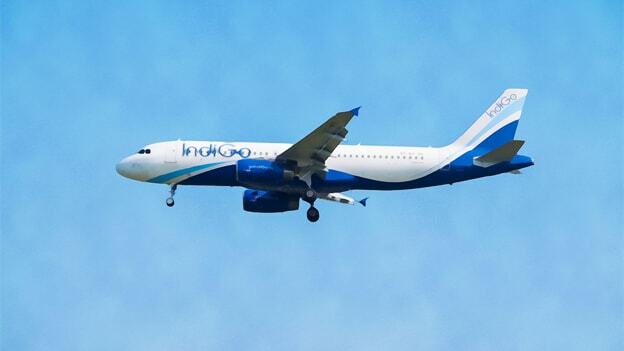 The additional hires will treble the number of expat pilots at IndiGo. Budget carrier IndiGo which is battling pilot shortage plans to hire as many as 100 expatriate pilots this year to add to its roster of flight captains. The move comes as the budget carrier aims to plug shortages that have forced it to cancel flights. The carrier has more than 200 planes and a pilot strength of over 3,000, which includes over 1,200 commanders, more than 50 of whom are expats. The additional hires will treble the number of pilots from overseas. While IndiGo has aggressively added capacity bit its crew addition has not kept pace. The airline had to cancel close to 150 flights in the last few days. Bad weather in Delhi and partial closures at Mumbai airport added to pilot constraints. It will be cancelling 30 of its daily 1,300 flights every day this month. The shortage comes at a time when it is trying to curtail non-fuel expenses. While the move will help it maintain schedules but will increase staff costs. With a basic salary of $13,000 on average, expat pilots in India command salary premiums of up to 35% over their Indian counterparts. IndiGo’s problems also point to a larger issue facing the country’s aviation industry—a shortage of experienced commanders to fly its aggressively expanding fleet. Indian airlines are adding close to 1,000 airplanes in the next decade. As per CAPA-Centre for Aviation, a Sydney-based consultant, the current number of pilots in India is estimated at 7,963. In 10 years, airlines will have to hire 17,164 more. The manpower shortage would be a major problem for India’s airlines as their fleets get bigger in the next decade.